When you first see this beautiful Snow Carollers Bauble, you may think that it simply a durable and vibrant red ornament for your holiday tree. However, when you look more closely, you will see that this red bauble is only the beginning of what this item has to offer. 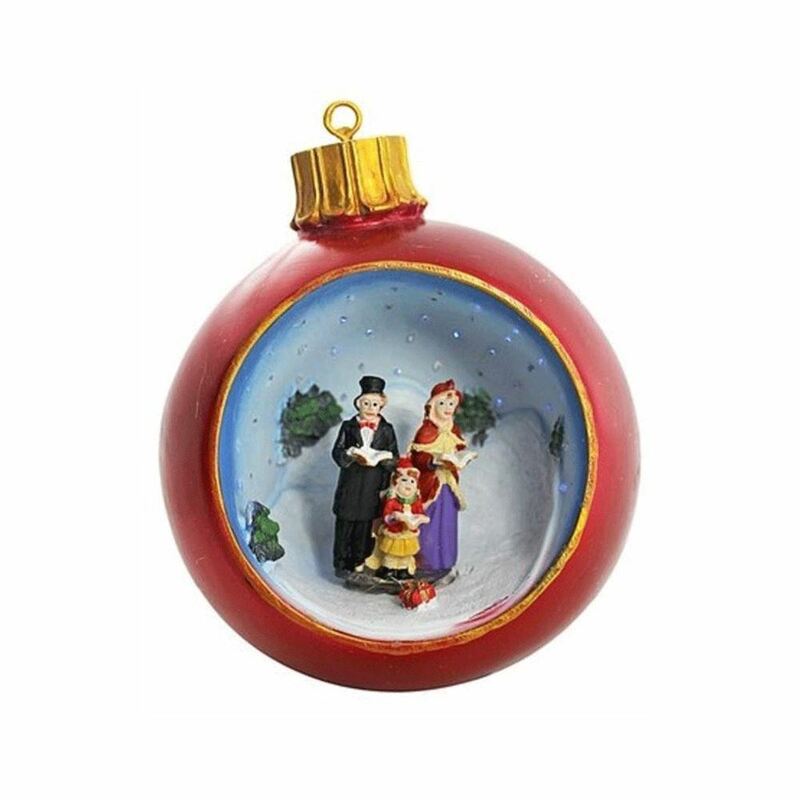 Measuring approximately 14cm in height, this red resin ornament contains a trio of festive carollers, almost serving as a window to the inspired scene within. There are clever holly leaf accents and the appearance of new fallen snow as this treasured trio sing their holiday song. This would be the most perfect gift to share with many people this season- and is a cost-effective approach to holiday shopping. Give this to co-workers and friends, or give one to your child’s favourite teacher. These ornaments are sure to be treasured and displayed by all who receive them this year!